For the Price Of 2! " for the price of 2 only. ChargedAudio™ Award Winning Subliminal Technology utilizes Revolutionary and Powerful Brainwave Technology to aid you in reaching new heightened levels of awareness. This State-of-the-Art programming encodes powerful positive affirmations through Neuro-linguistic programming (NLP) commands beneath the soothing sounds of nature music, stimulating your brain in its relaxed meditative state. Exposure to ChargedAudio™ Subliminal Technology programming process can be a life changing experience. No matter what task you've chosen to accomplish, you will feel yourself becoming a more powerful, confident, and dynamic person as this programming process continues. Wave Repose Technology TM (WRT) – To assist in inducing relaxation and proper breathing patterns for your maximum acceptance of subliminal messages. Matrix Dimensional Binaural Beats TM (MDBB) – Our latest and newest technology that is much more effective than ordinary binaural or dual binaural beats. Dual Subliminal Scripting – Triggering responses from both hemispheres of your brain for enhanced and accelerated results. Reverse Messaging – Messages are encoded in reverse manner to circumvent the critical senses of your conscious mind to produce long term positive results. ChargedAudio™ NLP Subliminal serve as a powerful tool to help you in achieving your goals. The benefits are simply amazing.  Easy and simple to use. At ChargedAudio™ , we are so sure of the success that this incredible product would bring you that we are willing to put the entire risk on us. You can place your order safely and knowing that absolutely nothing can go wrong. 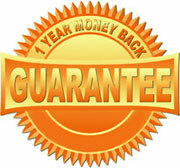 If you are unsatisfied with the product in any way, simply contact us within one year and tell us. To get maximum results from our audio programs, we highly recommend that you listen to the program every morning after waking up and every night before going to bed. Start with a 5-minute meditation session to clear your mind before listening to our audio program. You are advised to listen to the program for 30 minutes to 1 hour. You can leave it on while you continue with your daily chores/work. You are expected to experience positive results within 2 weeks. WARNING : You should not listen to these NLP Subliminals while in a car or while operating machinery.